Why is it that so many scholars—people well-versed in captivating ideas and history—are dry writers? Being a feminist with Jewish roots, I was really excited to review Women and Judaism. Divided into four sub-categories: classical tradition, history, contemporary life, and literature—the volume did present some very interesting thoughts on women's role within the Jewish religion. 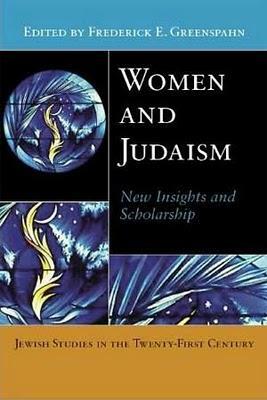 Unfortunately, like many textbooks I remember from college, Women and Judaism was written in a scholarly, rather than engaging, format. While there were a few authors who were exceptions, this dry style dampened my enthusiasm for what could have been a fascinating read. That said, if you can wade through the style, the meat of the book is definitely worth checking out. For starters, there is some interesting discussion about the relationship between Judaism and feminism—the authors don't believe them to be mutually exclusive. Rather than justify the sexism written into historical Judaic documents, several of the authors make the point that it is the sexism of the time that led to the inequity in religious texts—and they think that modern Judaism can, and should, move past it. This is probably the book's key theme: the authors challenge the idea that Judaism is a fundamentally sexist religion, arguing that changing times call for changing practices. Some of the bare historical facts (the first female rabbi was not ordained until 1972!) were shocking in terms of how late women were accepted into leadership roles, and how long it took for them to be included in traditionally male roles and ceremonies. The essays of Pamela S. Nadell (“Women and American Judaism”) and Sylvia Barack Fishman (“Women's Transformation of Contemporary Jewish Life”) are both eye-opening and highlight the importance of Jewish feminists in the second wave of the women's movement in the United States. If you can plod through some of the narratives, the ideas contained in this volume make it worth reading each of the essays.